Abebe lives alone. In his small flat, the walls are empty. The only ornament – sitting on top of a square pine table – is a folding picture frame with two photos of his wife, her face encased by hearts. These treasured pictures are the closest Abebe can get to being with his wife Bilen. While he tries to build a new life for himself in the UK, she remains in Kenya – unable to join him due to the UK’s restrictive family reunion rules. Originally from Ethiopia, Abebe fled to Kenya’s Kakuma refugee camp when he was just sixteen. He and his father – who’d been accused of being a rebel – had been beaten unconscious by government forces and his father imprisoned. Kakuma, meaning ‘nowhere’ in Swahili, became Abebe’s home for the next 25 years. With 170,000 inhabitants, it’s one of the world’s largest refugee camps – a place where reports of violence, fear and hopelessness are rife. “Life in Kakuma is just about survival, you cannot think or settle. You just live to survive,” says Abebe, who worked in the camp as a project health worker. Things changed for Abebe when he met Bilen in the spring of 2013. 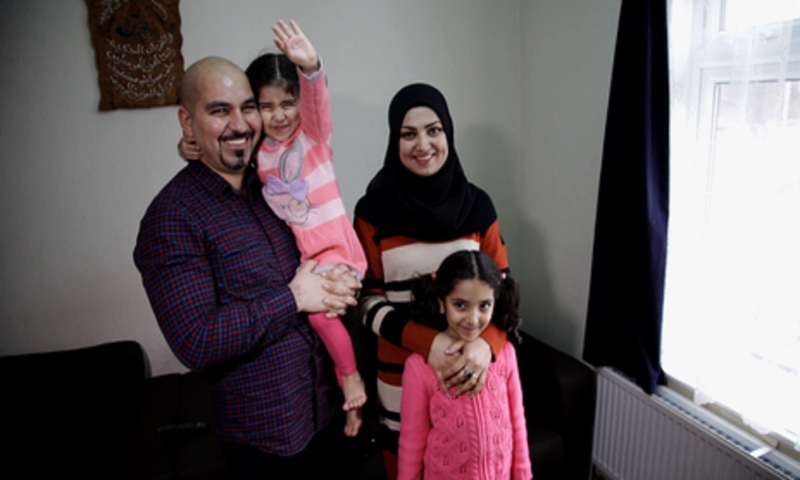 “Although I dreamed that one day my life would change for the better, I never thought I would meet my wife in the camp”, he says. Abebe and Bilen soon fell in love. She divided her time between staying with him and her family in Nairobi. Things were difficult – they had to keep their relationship a secret from Bilen’s family, who were Muslim and disapproved of Abebe’s Christian faith. 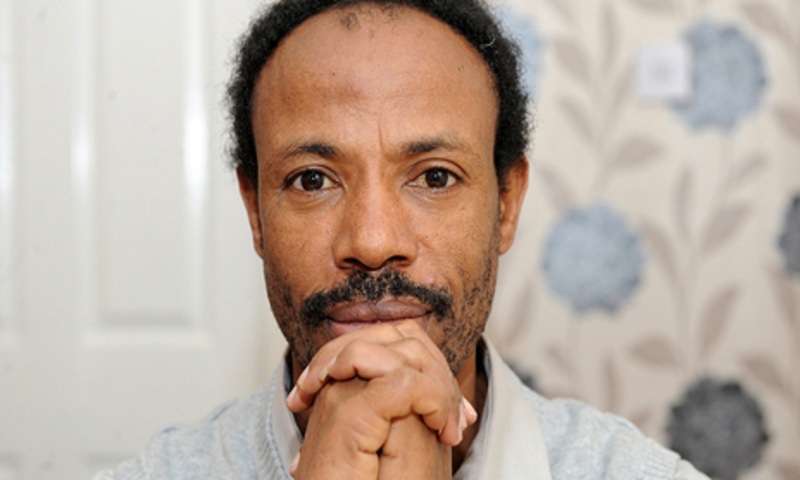 Two years later, Abebe received a bolt from the blue: he had been selected for resettlement to the UK. He finally had the chance to build a new life outside of Kakuma – but his joy turned to disappointment when he learned Bilen could not come with him. 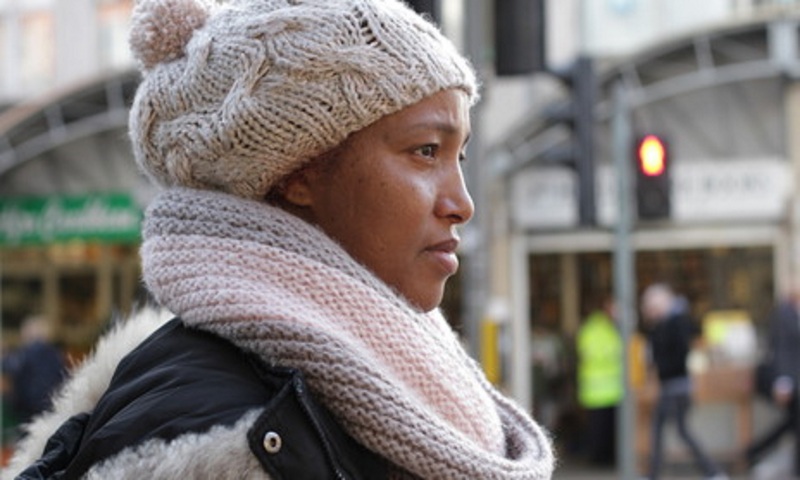 Even though Abebe and Bilen been together for nearly two years, married since February 2015, and she is pregnant with his child, their relationship is not recognised by the UK’s family reunion rules. After years in a refugee camp, Abebe is now in a different sort of limbo: grateful for the chance to live in safety, but desperate to be reunited with his wife.